When I was a kid, one of my chores was to throw the trash every evening. It was a menial task that required little effort for sure, but one that generated a great deal of fear in my young heart if I found myself heading out the back door in the dark. I had no fear of the dark. It was the monster that lived behind the fence just the other side of where the outdoor trash cans stood that made my knees wobble with trepidation. My fear was so strong that it drove me to make the journey down the back steps, along the length of the sidewalk, and across the driveway in twelve long strides. I would lift the trash can lid, deposit the small parcel of trash, and replace the lid in one smooth movement, all in the ominous dark shadow of that solid wood fence. Bounding another twelve strides landed me safely back inside the warmth and light of the kitchen. I didn't know what the monster looked like or what it would do to me if it caught me, but I learned to complete my goal in the space of seventeen seconds. I tried to minimize my fear by rationalizing that he might simply take a small bite out of an arm. Maybe he would swallow me whole and decide I didn’t taste so good, so he would spit me from his stomach like the whale did to Jonah. When I got way older, like maybe six or so, I decided to face the monster. One moonlit night, I summoned all the courage I could and, heart beating against my chest so hard I could barely breathe, advanced one step at a time toward the big wood fence. Eyes wide with fear, I grasped the corner post and peeked my head around the tall planks of wood. What awaited me was a bed of lush green grass bathed in silver moonlight with a few leaves strewn about that had drifted down from a nearby maple tree. Nothing threatening or scary lurked behind that fence. Today, decades later, I look back on the fences I have encountered and the monsters that have skulked behind them. 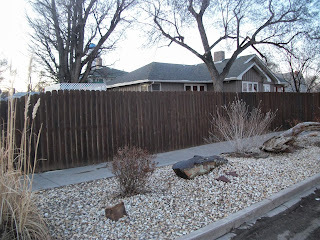 Right now, my fence is my husband’s medical condition and the monster is the long-range effect that looms in the future. Like that monster from years ago that held me paralyzed with fear, I’ve discovered that facing the monster frees me from its grip. Research, resources, and reliance on those who have known the same monster make him a much less formidable beast. What monster lurks behind the fence in your back yard? Patti Shene is currently on hiatus from writing while helping her husband face a serious medical condition. Once in a while, she still manages to get a few words out of her head and onto the computer screen. Patti enjoyed a thirty year career as an RN in the psychiatric nursing field. Although fascinated with all the modern technology used to improve her husband’s condition, she has retired fromher medical career. Her passion now is to influence people in some positive manner with the power of words. 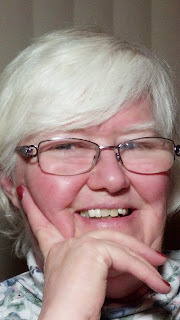 She is published in two anthologies, Love is a Verb Devotional and Angels, Miracles, and Heavenly Encounters: Real Life Stories ofSupernatural Events, as well as some local publications. A former editor with Written World Communications, she dreams of having her own editing service some day. Find Patti at her website. Mine (monster) is both insidious and indomitable(so much so, I call it "Leviathan"). What a wonderful column! Dealing with childhood fears is important. I have returned to work as a substitute school librarian and my elementary school age children love stories about "monsters". Helps them deal with the unknown. Ah, Patti, in spite of our "silly" but very real fears, even as an adult, facing them truly does bring about release. Thank you for sharing and encouraging me to let go of the fears I face. Patti, Just this morning my devotions said to, Wherever you go today, remember that God's protective hand is upon you. It struck a cord with me because, like you, I am dealing with my husband's illness. It is a difficult road to travel and I wish you the best. Your article reminded me of my childhood fears. It isn't a pleasant time to remember and even today I will not watch scary movies or T.V. programs. Thank you all for stopping by to leave a comment and for your words of encouragement. I put my husband in God's hands, Who in turn placed him into the hands of a very competent and compassionate physician who has helped us both travel a difficult road. May all of you facing your monsters find them not near as formidable as you thought! Sorry to hear of your husband's serious condition. I can empathize. Growing up, shadows on my bedroom wall from trees and passing cars frightened me. Once Mom explained what they were, I was better...but I still pulled the covers over my head. I, too, have a monster that stalks me. My husband of 53 years now resides in the Veterans Victory House here in Walterboro, S.C. with the diagnosis of Alzheimer's. Everyday, it my privilege and joy to be there with him. I have to remind myself constantly that this situation surprised me, not our Lord Jesus. He constantly beckons me to Him. I praise Him for His never failing Love. I didn't have a monster, but when I was five years old no one could convince me that my bed was not floating on quicksand which would swallow me in the middle of the night! UGH. You write wonderfully well Pat. Thank you for this reflection. I'm praying for you and Manuel as you face the whatever scarey hairy monsters lurk. The Lord is a great monster slayer. God's peace. Are You Ready to Go Incognito?